Babies Dying and It Doesn’t Make the Papers! Research blocks stink! And I’ve hit one! What I thought would be easy research has turned into a decidedly frustrating endeavor. I’m looking for information on the death of my father’s infant brother, Gary. In April 1946, my grandmother gave birth to her fourth child and son, Gary, at Mercy Hospital in Dubuque, Dubuque County, Iowa. He died after 16 days. I’ve always been told Gary died due to “bad water” at Mercy Hospital. He wasn’t the only one either; according to family members a “bunch of babies” died. How many is a bunch? Between 15 and 20; otherwise known as an epidemic. Can you imagine between 15 and 20 babies dying at local hospital and the local newspaper NOT reporting it? I (wrongly) assumed that this incident would warrant newspaper coverage in Telegraph Herald (Dubuque, IA). Since I couldn’t find any articles in the TH discussing this problem at Mercy Hospital, I decided to look at the obituaries. Since I didn’t know when exactly the epidemic started, I looked at obituaries in March, April and May. I found 27 infant obituaries published during that time. I cannot express how depressing it is to read infant obituary after infant obituary. No one will be able to convince me that infant obituaries appearing daily in the paper is a normal thing – even in 1946. How could people NOT notice dying babies? I contacted the library in Dubuque and the local archives at Loras College. No luck. I’ve been given the name of the archivist at Mercy Hospital, but I don’t expect that to lead anywhere. Even though it’s been more than 60 years, what organization is going to willingly give out information about babies dying at their facility? This intrigues me. Would there be any helpful information in Des Moines? I’m sorry that I don’t have a better suggestion as to whom to contact. Possibly. I was unable to find any (published) information about these deaths. I spoke with a couple of reference librarians and an archivist, but they didn’t have any information. Mercy Hospital didn’t have any information. I guess if I really wanted to pursue this research,I’d have to start getting death certificates. 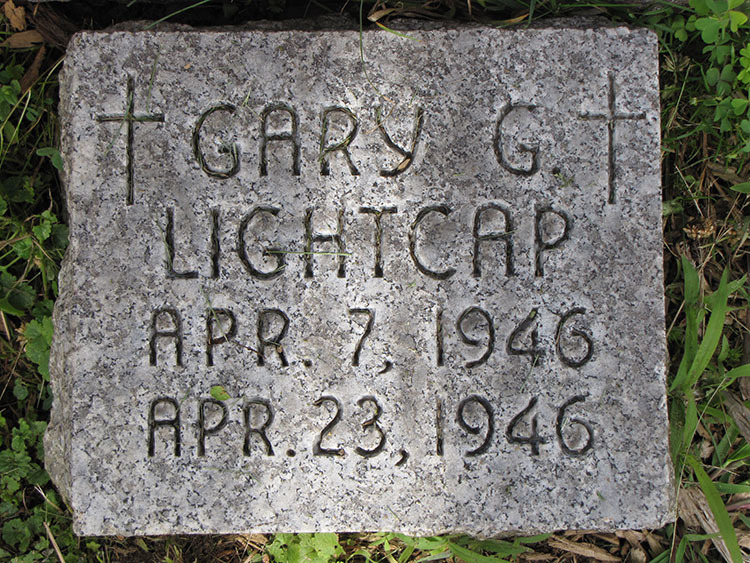 I always heard that Gary died by a mistake that the nurse made in the hospital. The nurse was supposedly fired over it.